Like many Tibetans, I have been grieving the situation in Tibet these last months, asking myself what can I possibly do in this seemingly hopeless situation. 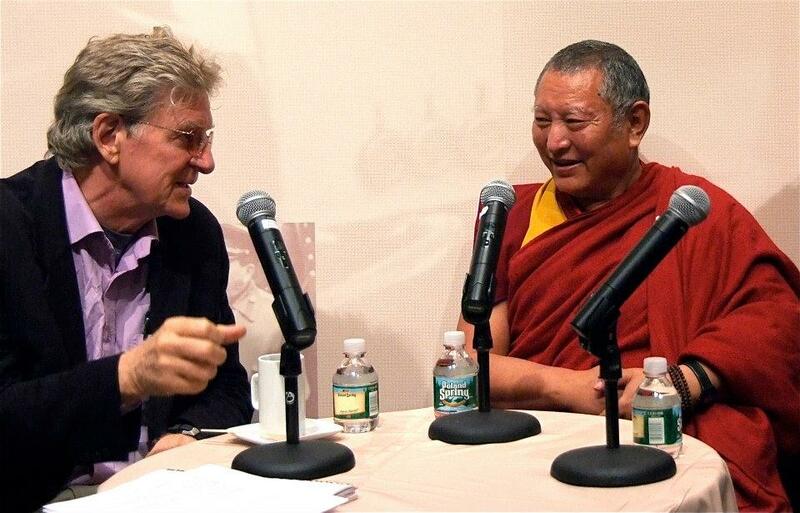 But yesterday I felt re-energized and inspired by hearing Kirti Rimpoche (the exiled head abbot of the Kirti monastery, place of the self-immolations) and esteemed Professor Robert Thurman speak at Hunter College. I’m sharing clips of the parts I managed to film, along with what I transcribed of their speech. Apologies it’s not the best quality video (shot on my phone), but it’s worth straining to hear the messages of these two wise teachers. I hope you’ll find these words comforting and enlightening in some way. I’m not posting a script of Thurman’s speech since it’s so long. Below is Kirti Rimpoche’s bit. Here finally is the video of the 35 year old nun Palden Choetso’s self-immolation and the subsequent gathering of 10,000 Tibetans who paid their respects to her. Here you can also see the lay woman Professor Thurman has spoken about. Please watch this and share this widely. It’s our responsibility not to turn away from the difficult and ugly truth of what’s happening in Tibet, as well as the strength of resistance and unity evident in this video! ← Nepal, Can’t We Be Friends Again?